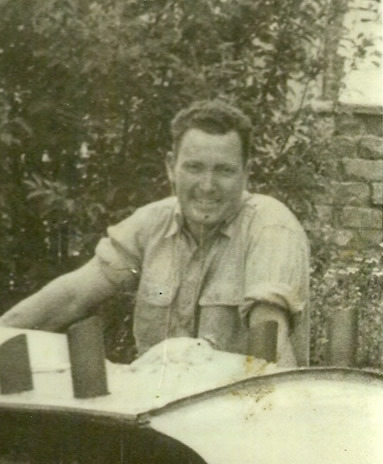 In the 1940’s Bill Mattocks began racing boats and in 1947 he bought his first hydro-plane from famed engine and boat builder, John Forrester. He then bought yet another boat in 1949 and featured what they call a peek hull and it became a world record holder in the 49 cubic inch class. He raced the boat at Lake Mead and beat 14 of the best boats and drivers in the country. In 1950 he bought another new boat, a 135 cubic inch ford V-8 60 craft. It was a first-class rig and Bill admitted he had a lot to learn. With the help of friends and associates he ran second or third in class competing with about 12 boats each time. In 1956 he built a hydro plane rig powered by a 266 cubic inch Chevrolet engine which began a long streak of winning races followed by a first class 266 hydro built by John Hoffman. It never lost a race beating the world champion at Lake Loveland. He beat other world champion boats running upwards of 110 miles per hour on the water. He also took this boat to 110 miles per hour at Sloans Lake in Denver. He then built a 2000 pinto engine for his sons in which both his boys set a world record at Parker, Arizona running over 105 miles per hour. That record has never been broken. He considers it the highlight of his life considering he was able to do it with his boys. During his career as a boat racer and builder he was involved with some 30 racing boats. In Utah he just missed a pile-up of five boats and said to himself “This is nuts. No more of this for me.” Over his career he won many, many championships. He has a million stories to tell about his career, but his record speaks for itself.